Sorry I haven’t been posting much in the past few days, but I’ve been very focused -and busy!- on draft #9 of my latest novel in the Corrosive Knights series. This update will be short and sweet: On Tuesday I began the reading and pen/ink revision of the draft and, in a matter of three days (Tuesday, Wednesday, and Thursday) I’ve made my way through half the book. The book, until this point, reads quite well and the revisions I’ve had to make on paper aren’t “major”. Most involve clipping lines or words here and there and adding only minor elements to the pages. 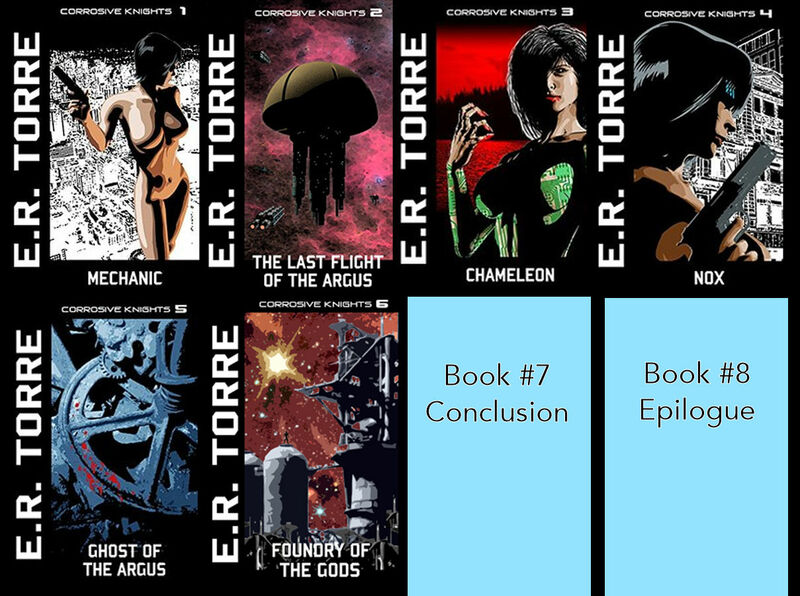 As I said in my last update (you can read it here), as my novels near completion, I find that the revisions that need be made become smaller and smaller and that certainly seems to be the case… at least with the first half of the book. Today I will be into the second half. If this part of the book “reads” as well as the first half, then we’re getting really close to the end… and the release of the book! As I jump into draft #9 of my latest Corrosive Knights novel, I’m particularly interested in finding -and snipping away- anything within it which could fall under the above definition. I’ve talked before about how difficult it is to write -and it is- but as one reaches the stage where I’m at, where your story is pretty much set and you’re moving away from creative writing and to revisions involving grammar and spelling, one should also try their best to see which sections of your book require pruning. Let’s face it, authors fall in love with their works. Hell, they wouldn’t spend all that time on them if they didn’t love what they were doing, but the danger is that they get to the point where they may not realize parts of their beloved works, be they something as small as a sentence or two to as large as several chapters, would be better left out. When I was writing my very first novel, Haze, I very much fell into that situation. Originally the book featured a very long opening section which served to acquaint the reader with the protagonist. It went on for way too long before we got to the “meat” of the story. As I was very much a novice to the whole book writing business at the time, I simply was not aware of this bloated opening act. Luckily, I didn’t publish the work then and there and instead revised and re-revised the work over and over again and gradually developed an understanding of what worked and what didn’t. I was also helped immensely by the fact that I put the novel away for a while -perhaps a little over a year or so- before getting at it again. It was at that point that I realized how much I could get rid of from that opening section without hurting the reader’s understanding of the protagonist and while getting that same reader that much quicker to the “good stuff”. It was an important lesson for me and I’m fascinated to find book reviews where readers say something to the effect that a book needed “a good editor.” Usually the comment refers to a book being too long and featuring material that was unnecessary and should have been eliminated. So, in the interests of brevity, here I go into my own novel. Ah, Escape From New York (1981). I could write pages and pages about this vexing -and much beloved- film. The visual style of the film was supposedly inspired by the then recently released original Mad Max (1979). 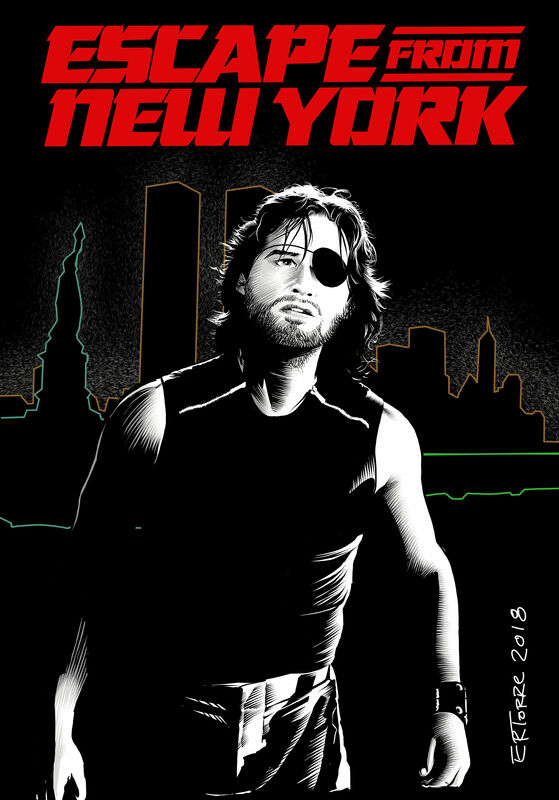 Kurt Russell, who would play the wonderfully cranky Snake Plisskin in the film, was supposedly the one to bring attention to that Aussie film to director John Carpenter. Ah, but I mentioned the film was vexing. It is. I feel the film starts with a HUGE bang. I love the wonderfully wonky plot/premise: That the then future New York is closed off and converted into a prison. I love the idea of the President of the United States -played with a British accent by Donald Pleasance!- winds trapped in that hellzone. I love, love, love the first meeting between Plisskin and Hauk (a wonderful Lee Van Cleef) and I love the entry into New York and the bizarre citizens he encounters. But if I’m honest with you, I’ll tell you to me the film loses steam in its second half, though it presented a hell of an ending, complete with Plisskin’s second and last meeting with Hauk. But the climax leading to that ending…? Eh… not so much. It feels, to me, like the film’s very meager budget weighted what should have been a far more suspenseful showdown between Plisskin and The Duke. Even with that hiccup, there is just so much to LOVE about the film, some of which I mentioned above. Ultimately, I can’t help but admire the film and feel it is easily one of my favorite John Carpenter directed works (did I mention the soundtrack? It may well by John Carpenter’s best). And I’ll keep watching as he proves everyone wrong. It took 3 weeks to read the book and put in the pen and ink revisions and 2 weeks to put all those revisions into the computer, for a total time spent on this draft of one month and one week. It may seem like a long time, but that’s incredibly quick. Some early drafts of the book took up to five months to get through! What that indicates is that the book is becoming closer and closer to being finished. This is logical: Each new draft I finish up should, in theory, make the book that much better/closer to being complete. Welp, I print the sucker out and get right back to re-reading it and doing the pen/ink revisions. I feel a good chunk of the book is very close to being complete in all ways while there are a few sections here and there that could use more polish. Draft #8 found the novel’s story pretty much all there. I did add a few bits of dialogue here and there to add a little spice to the story and found one full chapter needed to be moved to farther into the book -and, it turned out, pared down considerably- but otherwise things are getting that much closer to the end. So it’s on to Draft #9 for me. I’m most curious to see how the book “reads” now and how much I’ll find needs revision. That, more than anything else, will give me an idea as to how close to the final draft I am. 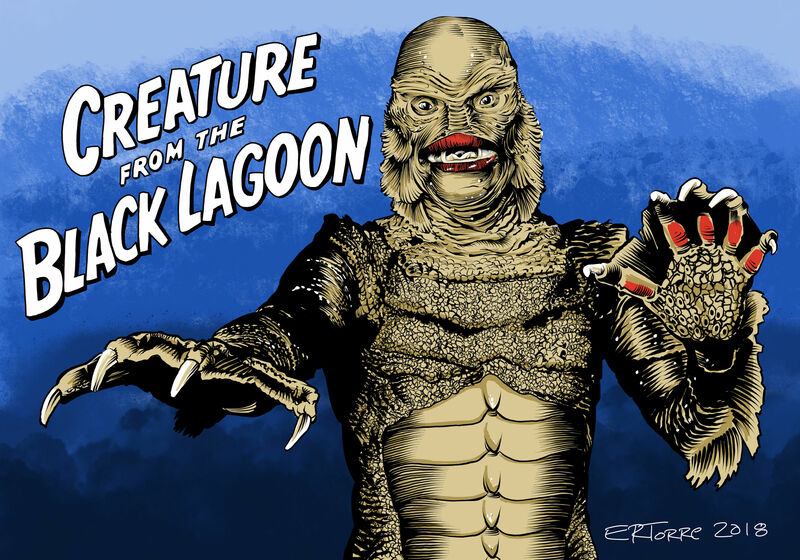 The 1954 film Creature From The Black Lagoon is a late entry into the Universal Horror film stable and the creature itself has clearly served as a template for other water based creatures to come (looking at you, The Shape of Water). The weeks are hard and filled with work. By the time I hit the bed on Thursday night, I feel it and can’t wait for the weekend. Not that I stop working on the weekend, mind you, but at least I can ease up on the accelerator just a bit. Not so the past weekend, beginning with taking the car into the shop (and paying much, much more than I thought) and having to deal with picking the car up later on in the day (essentially freezing out any sort of activity I would have wanted to do that Saturday afternoon), and then, on Sunday, our AC goes out in the sweltering afternoon/early evening. We got that fixed, for even more $$$$, but at least it was something that could get fixed without replacing the whole damn thing. 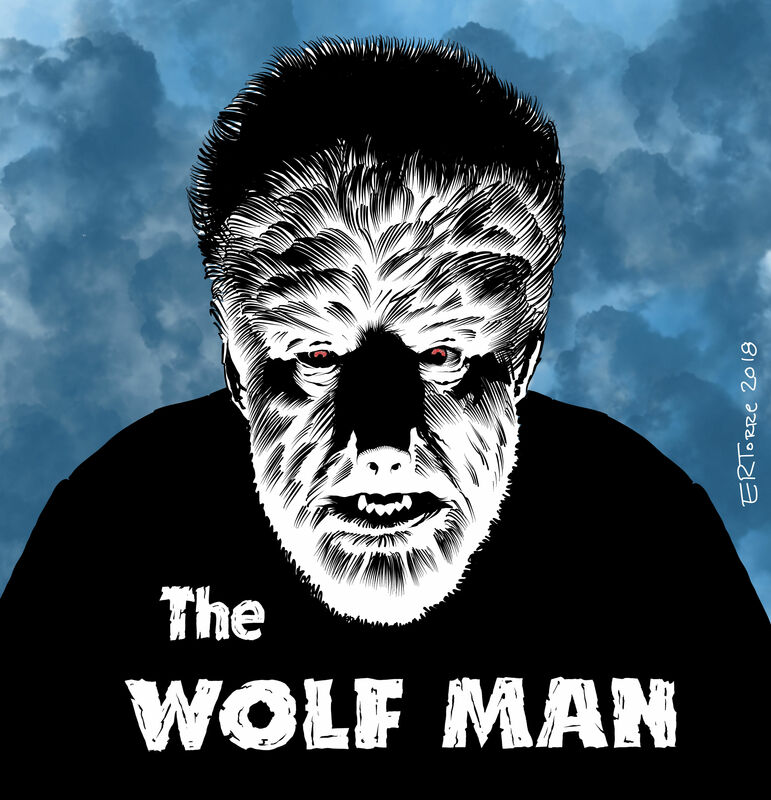 Released in 1941 and featuring Lon Chaney Jr. (son of the famous actor who originated the roles of The Phantom of the Opera and The Hunchback of Notre Dame, to mention but two), The Wolf Man is another success for Universal Studios and their stable of “monster” features. Ten years had passed since the release of Frankenstein and Dracula and it was hoped this movie would further invigorate the monster genre. Also starring in the film were Claude Rains (Casablanca, The Invisible Man) and, in an important cameo, Bela Lugosi. The film features beautiful, foggy scenery and a truly tragic “hero”. The movie’s director, George Waggner, likely reached his directorial peak with this feature. Mr. Waggner came to Hollywood in the mid 1920’s and for a while was an actor before becoming a screenwriter and songwriter and then director. He would direct theatrical films until 1951. His final two theatrical films, The Fighting Kentuckian and Operation Pacific, starred John Wayne. Mr. Waggner then moved to directing television episodes and became very prolific in that medium. He directed many episodes of different TV series, including Wagon Train, Maverick, Cheyenne, The Green Hornet, The Man From U.N.C.L.E., and, in his last listed directorial credit work, ten episodes of Batman. Boris Karloff achieved great fame in 1931 with his portrayal of Frankenstein’s monster in the original Frankenstein. 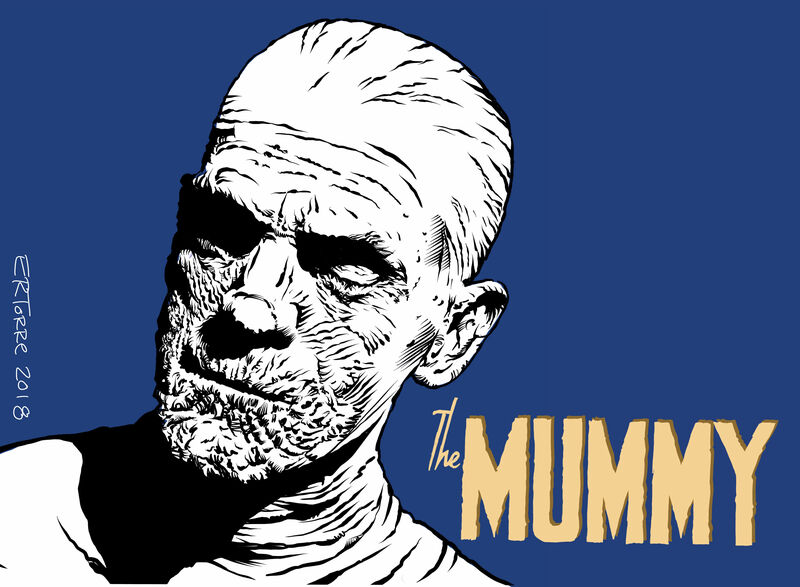 In 1932 he would appear as another monster and the subject of this piece, The Mummy. Between those two films he would appear in a whopping nine films, including appearances in Scarface (1932), The Old Dark House (1932), and The Mask of Fu Manchu (1932). Actors back then really pumped ’em out! The director of the film was Karl Freund. His direction credits were limited and he would stop directing only a few years later with the visually stunning Mad Love (1935). However, Mr. Freund likely made his greatest mark, and would continue making this mark, as a cinematographer. Included in his cinematography resume are such classics as Metropolis (1927), Dracula (1931), and Key Largo (1948). He would go on to make an even greater mark in television, where he pioneered the three camera system used to shoot TV sitcoms, still used today, and which he did while working on I Love Lucy. I’m just one lonely voice in the vast internet but for those in the path of Hurricane Florence, whose effects will be felt starting today in the Carolinas, please heed all the warnings issued and keep yourself informed of the latest track. On the good side, the storm appears to have weakened to a Category 2 (it was up to a Category 4, which is devastating). Category 2 storms, however, are nothing to be trifled with. The rain alone is going to prove a very big problem and, again, heed whatever warnings are issued. Good luck out there and keep safe. These prognostications are updated every five or so hours usually but when a storm approaches landfall the updates are issued more frequently. This site presents the so-called “spaghetti” models of all storms throughout not only the Atlantic, but also the Pacific. This site is also updated frequently and it offers a good behind the scenes look at what will eventually show up on the NOAA site above. It still impresses the hell out of me how much author H. G. Wells contributed to/created within the field of science fiction. 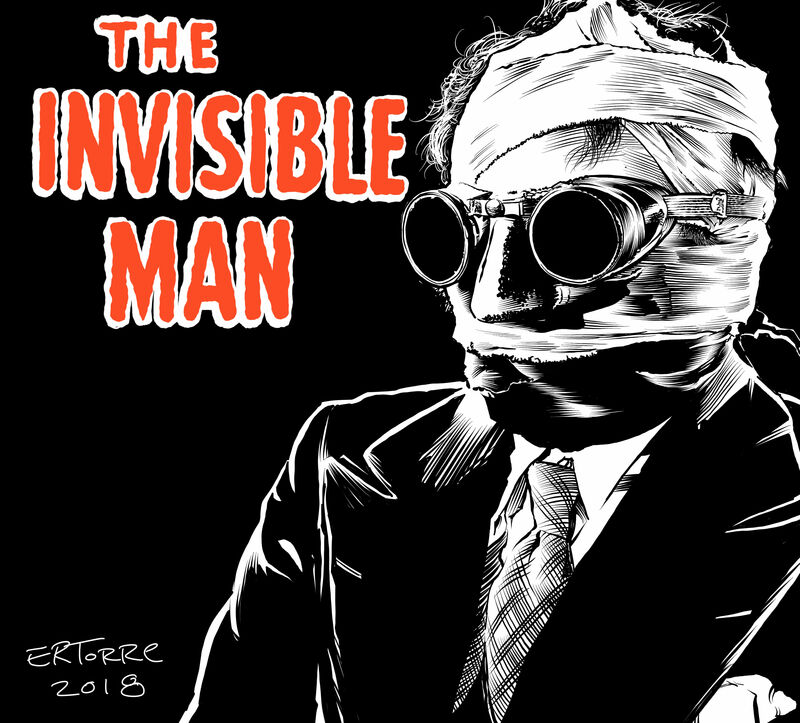 Time travel (The Time Machine, 1895), alien invasion (War of the Worlds, 1898), genetic modification/horror (The Island of Doctor Moreau, 1896) and, of course, the concept of invisibility (The Invisible Man, 1897). In 1933 director James Whale, who by that point hit it big with the original Frankenstein (1931) and The Old Dark House (1932) took on the Invisible Man. The movie, which was released in 1933, had a script approved by H. G. Wells himself and the final product was a terrific work, filled with humor and horror. The movie, like many other Universal monster films, produced many sequels.